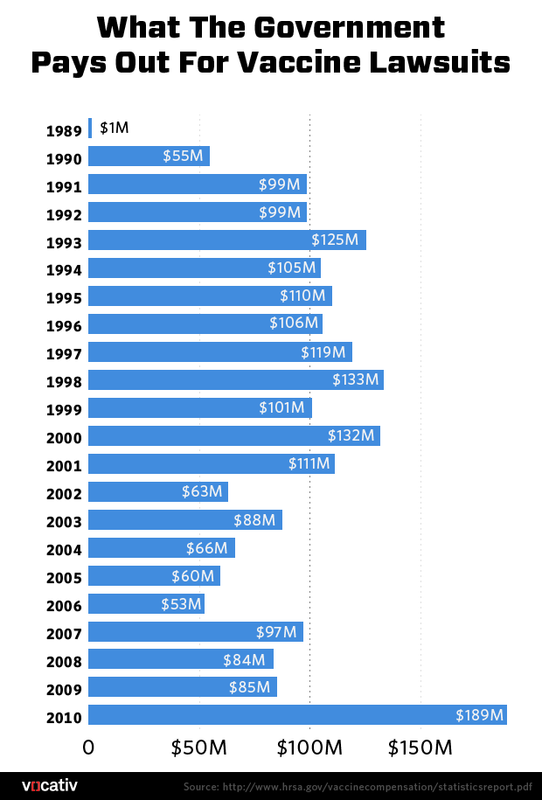 Over the past 25 years, taxpayers have shelled out nearly $2 billion in vaccine injury compensation. Vaccines are overwhelmingly safe, but they’re not free from complications. Hundreds of people are injured or even killed by vaccines every year, often due to allergic reactions. Many victims and their families sue the federal government–and settlements can reach into the tens of millions. Last year alone, more than 600 people sued the government after a family member was hurt by one of several vaccines, from measles to polio. 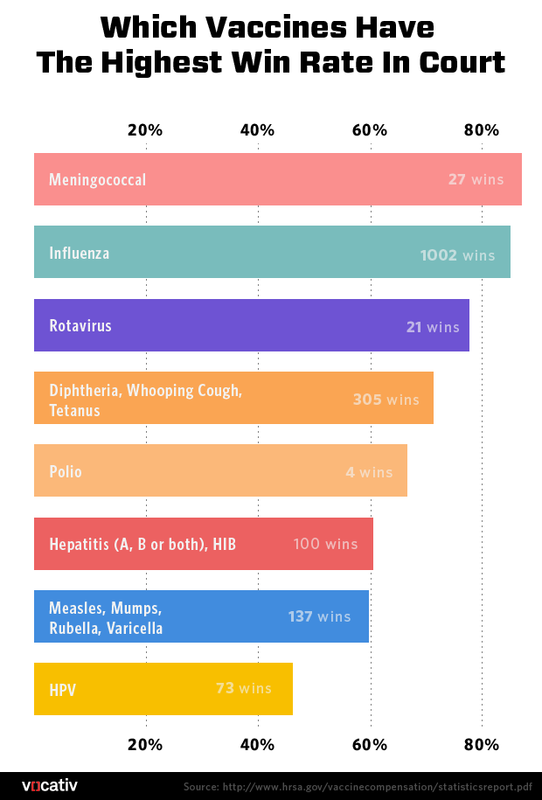 Not all vaccine lawsuits have the same odds in court, though. Flu vaccines, for instance, win over 80 percent of the time, while HPV is effectively a coin toss. Though you may not know it, you’re funding the government’s vaccine-compensation kitty. Since the National Vaccine Injury Compensation Program was established in the 1988, there has been a 75-cent tax on most shots. That money flows into a federal trust fund set aside for victims who can prove in the U.S. Court of Federal Claims that a vaccine caused injury or death. “Accidents occur. It’s the policy of our government that accidents occur. That’s why there’s a fund,” says Robert Krakow, a vaccine injury lawyer in New York. The CDC maintains a complete list of conditions presumed to be caused by vaccines, including allergic reactions and some rare neurologic conditions. Jenny McCarthy may be disappointed to learn that autism didn’t make the list — scientists and courts all the way up to the Federal Circuit agree that there is no link between autism and vaccines. 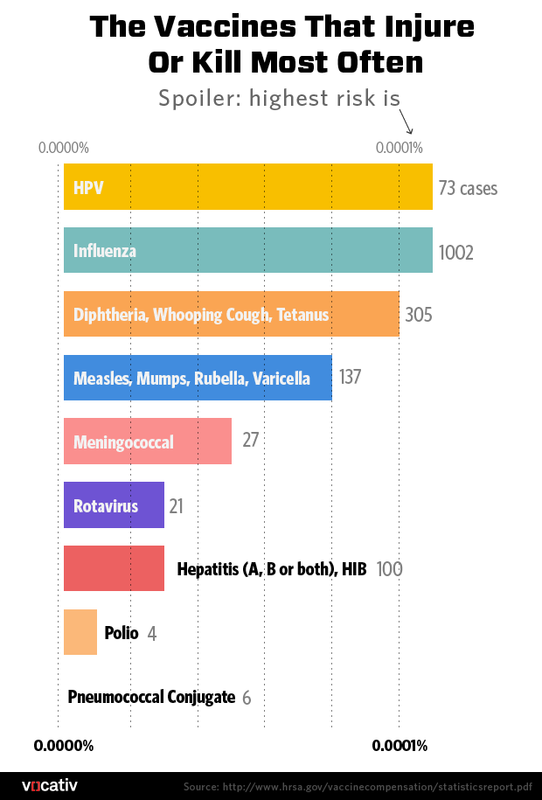 Although the government has already paid about $80 million to vaccine victims this year alone (plus nearly $4.5 million in attorney fees) it is important to note that the risk of vaccines causing harm is infinitesimal. Even the most “dangerous” vaccines hurt less than 0.0001 percent of patients — or one in every 10,000 people. Taxpayers foot the bill for these injuries due to a mass tort reform in the mid-1980s. Drug companies had threatened to stop producing the DPT vaccine (which prevents diphtheria, whooping cough and tetanus) if Congress did not prevent the public from suing for largely unfounded damages. Through the National Childhood Vaccine Injury Act, Congress created the present system.